Iron Banner appears every few weeks and is by far the most popular Crucible mode in Destiny 2. It started on November 13 and will run for one week. During this time, you’ll be able to earn bonus Valor Rank points. To be able to compete in Iron Banner, you’ll first need to finish the main campaign in Destiny 2. You then need to speak to Lord Saladin in the upper walkway in the Tower. Once you’ve spoken to him, you’ll unlock Iron Banner Milestones and can access the playlist. Iron Banner is a serious challenge so if you’re new to Destiny or PvP matches, it can be a bit overwhelming at first, but you’ll soon see why it’s a fan favourite. Lord Saladin returns for the final Iron Banner of Season 4, meaning there will be items disappearing from the official rewards lineup. 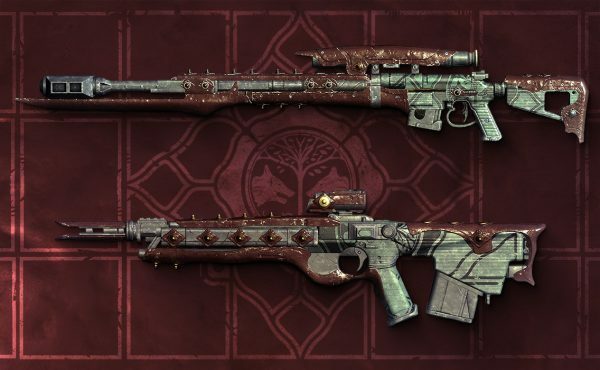 While Iron Banner weapons introduced with the release of Forsaken will continue to be available, this will be your final chance to earn Season 4 Iron Banner armour and any Iron Banner Triumphs associated with Season 4. Exotic weapons like Luna’s Howl will have their questlines available for a while longer, but you should still try to collect them before November 27 when Season 4 ends. Seasonal Valor and Glory Ranks will reset on that day and attaining certain ranks are required for the quests. 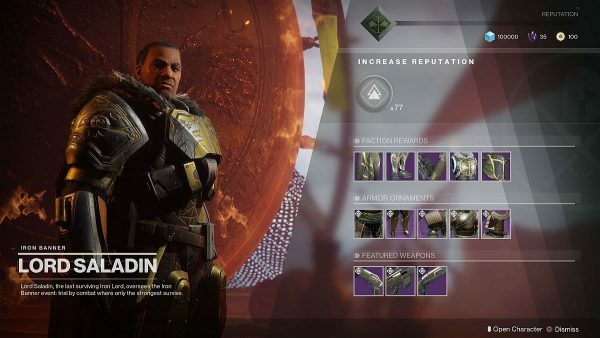 Players will also unlock an item in Lord Saladin’s inventory for direct purchase with each bounty completion with curated perk rolls, with foxes and wolves will battle it out for a spot in your arsenal. If you’re looking to increase your Power, find more Exotic weapons or try the new Gambit mode, check out our Destiny 2: Forsaken guide here. The post Destiny 2: Iron Banner events, updates and bounties appeared first on VG247.